Laid down, 5 June 1944, at Bethlehem-Hingham Shipyard, Inc., Hingham, MA. 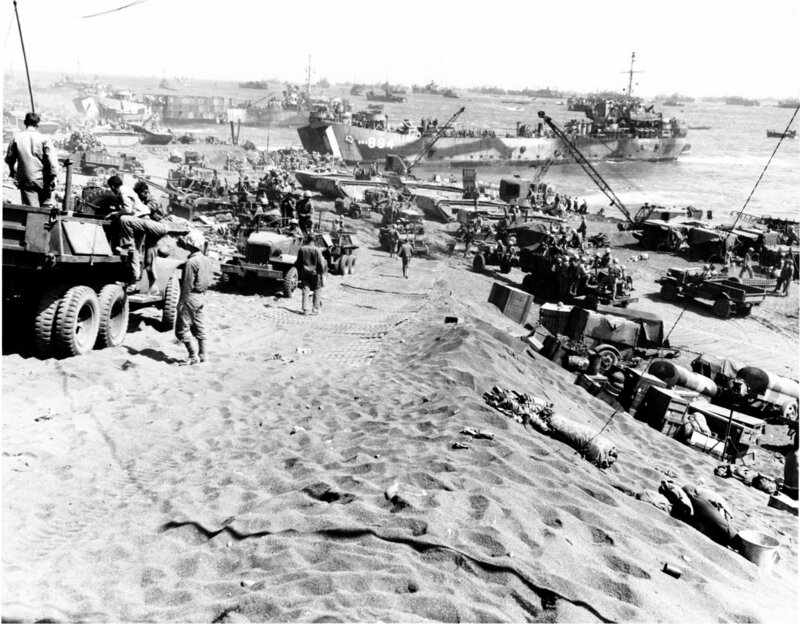 295k Vehicles on Iwo Jima's Red Beach, circa 25 February 1945, with USS LST-884 (center) and USS LST-929 (at left, with H markings on her hull) unloading in the background. Among the vehicles are trucks, mobile cranes, amphibious tractors (LVTs), jeeps and a variety of trailers. A field artillery piece is being pulled along in the right center. Note the pierced steel matting roadways. The original photograph came from Rear Admiral Samuel Eliot Morison's World War II history project working files.